He is just your average, ordinary, everyday guy--except that he is a zombie now! 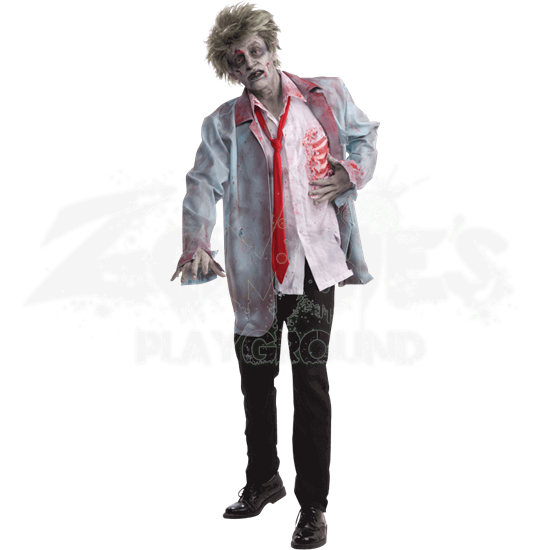 In the Zombie Man Costume, you can transform yourself from a mild-mannered man on his way to the office into a bloody, ravenous member of the walking dead. Of course, this costume does not look like a freshly reanimated zombie, but rather one that has been active for quite some time given the number of bloodstains on his shirt and jacket. This costume consists of a pale blue jacket that is stained and spattered with traces of blood, most of it focused around the collar of the jacket. Underneath is a white shirt that is just as stained with blood and features an attached section of exposed ribs that reveals bloody, red tissue and white bones. The final touch is the bright red tie that accents the whole costume, drawing attention to the zombie while also complementing the bloody stains and the exposed section of ribs on the shirt. This costume is available in one standard size, which fits up to a 42 inch chest. It includes only the jacket, the shirt with attached ribs, and the tie. The pants, shoes, make-up, and wig are not included. 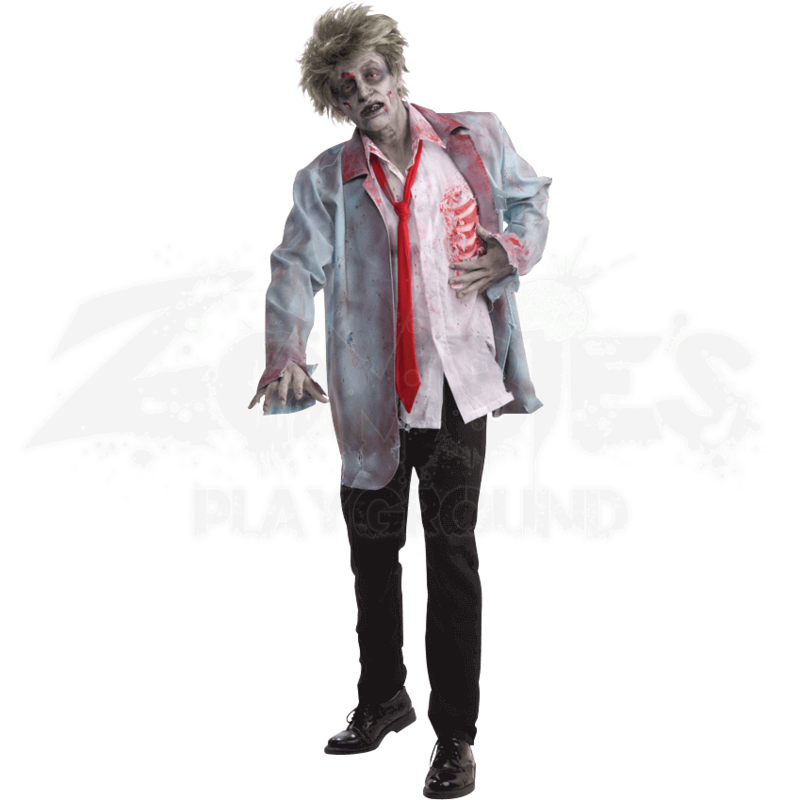 With the Zombie Man Costume, you go from being a metaphorical corporate zombie to being an actual, flesh-eating zombie with just a change of your clothes!